Life is busy as a mom! I always seem to have minimal time for myself to get ready. There are always more important things to do like change or feed Oliver or help Adalyn change into her 12th "beautiful dress and high heels" for the day. Plus, let's be honest, spending a lot of time getting ready has never been a big priority for me. I would much rather be spending time with family, cooking (and eating), blogging, going on walks, etc. I do like to look nice so that I feel good about myself, so I like doing a super quick routine in the morning with AVEENO® products from Walmart. Some days, it is fine to stay in workout clothes for a while, but I do like to get dressed sometimes with a bit of makeup. The first photo in this post was a before and after taken after working in our 18 inches of water flooded basement for 15 hours straight- I needed a little TLC for sure (and sleep!). -Turn on the water in the shower and meanwhile brush my teeth (while usually corralling my toddler). -Take a shower (sometimes with a toddler in tow, sometimes with a baby as well) and wash my face, body, hair and shave my legs. I have been loving AVEENO® products lately. The AVEENO PURE RENEWAL® Shampoo and Conditioner is great for making your hair feel clean and smell good. I also love the AVEENO® POSITIVELY SMOOTH® Shave Gel from Walmart. The shampoo and conditioner are sulfate-free for moisture and shiny, healthier hair. I have dry hair as well and always choose products that help moisturize so these are perfect. The shampoo is gentle on your hair and scalp and the conditioner is lightweight and doesn't weigh your hair down. The shave gel is the #1 recommended over the counter shave gel brand by dermatologists in the USA for good reason! I have sensitive skin and I need a shave gel that is gentle and this one is perfect. It is made to help you shave less often (yes!!) and to prevent shaving irritation. It helps protect against nicks, cuts and razor bumps which is great for my sensitive skin. Follow the directions on the package for best results. -Get out of the shower, towel dry my hair and put on face lotion, lotion and deodorant. -Get dressed in the bathroom. -Put on a little mascara, blush and either lip balm or lipstick. -Brush my hair and let it air dry. If I have about 5 minutes extra, I may blow dry my hair. Like I said, I keep it super simple and do not use any products on my hair. -Get back to playing with the kids! That's my little routine that works for me and helps me feel my best. I do not shower every day- more like every other day, but this is what I do on the days I need a shower. 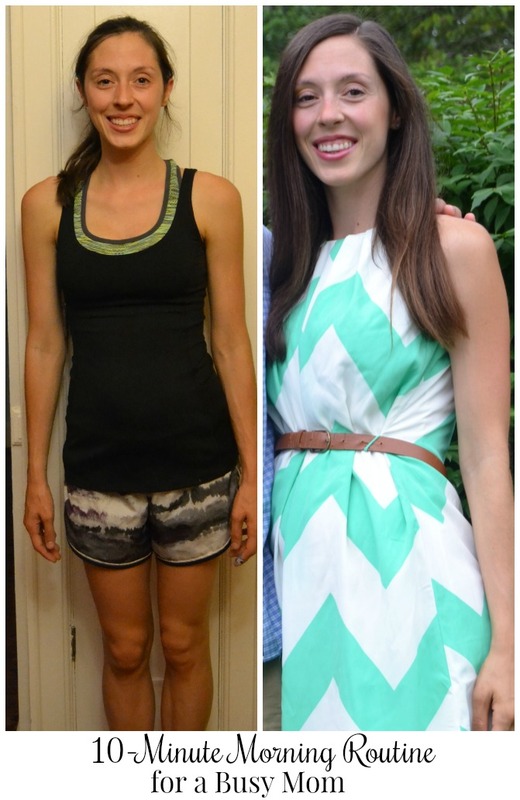 Some days, I wear workout clothes and some days, I will wear a really cute dress and jewelry. It just depends on what we are doing and what I feel like wearing that day. If it were up to my daughter, I would wear floor length dresses every day haha. 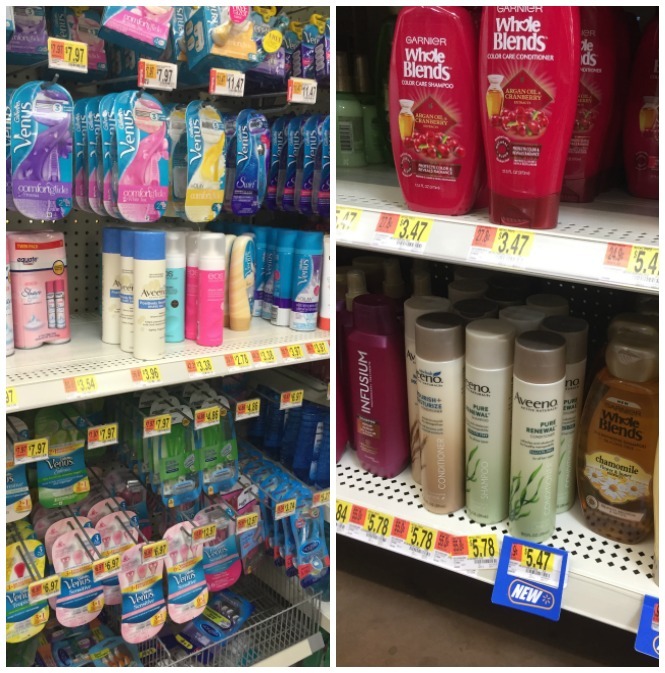 You can pick up AVEENO® products at Walmart!